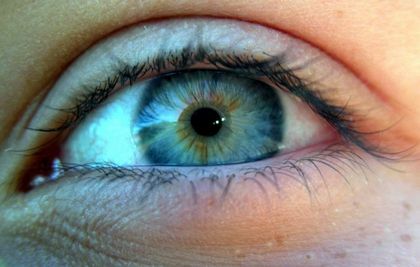 The iris is nothing more than a ring of coloured muscles, and it is these muscles that give us our eye colour. Its centre, the pupil, allows just the right amount of light to pass through so that we can see. 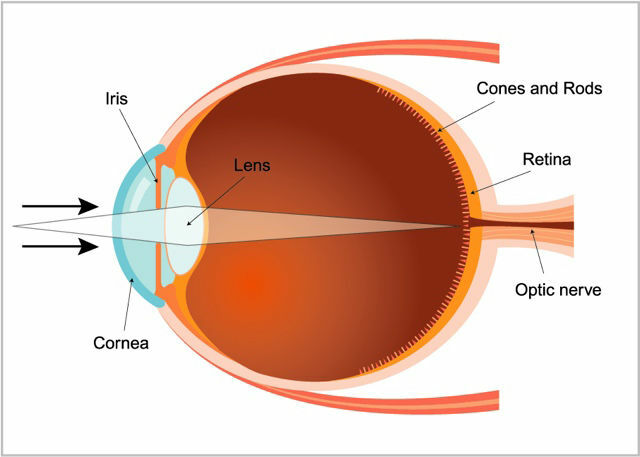 This is why the pupil contracts when there is too much light (like when the Sun blinds us) to prevent excess light rays from reaching the retina, and contracts when there is not enough light (like when we walk into a darkened room) to allow in the most light possible.